Was $199.00; Save $20.00 until 9 May 2019! 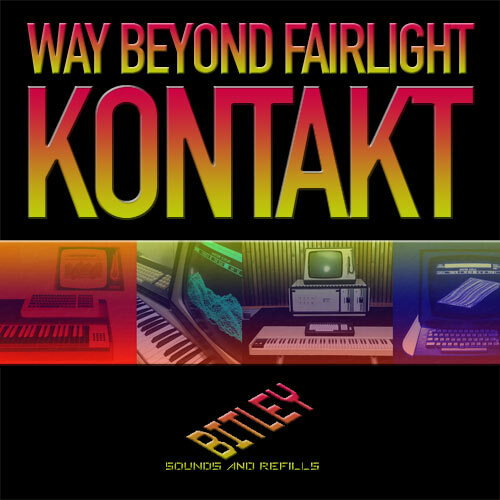 The 2,5 GB & 2,400 patch library Way Beyond Fairlight Kontakt is now available. A result of several years of sampling and programming, this is optimized for Kontakt 5. Included is also some of our best synth and drum machine inspired work. All the famous sounds we recorded from the classic Fairlight IIx system, with spices from Synclavier, JX8P, D-50, Linndrum, Moog Prodigy and more. Remembering how the Fairlight CMI was used back in the 80s, it wasn't the final word on synthesis and sampling. Often surrounded by other fine keyboards, high end effects, sampling tools, amazing drum machines – so this is how we wanted to present the sounds. Sound types include mallets, voices, acoustic, analog, bass, brass, digital, drums, flutes, guitars, keys, leads, organs and much more. The library works for any style of electronic music, from hip hop to Art Of Noise-inspired experiments to dubstep, house, techno, jazz, rock, etc. 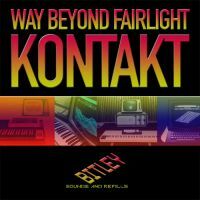 All sounds from Fairlight Kontakt R3 and Dreampads are included. There is also an upgrade option available for previous users & a free demo version available for instant download.